Kayleigh Moyer is a Session and Live Percussionist/Drum Kit player and clinician based in Nashville, TN. She is currently on tour with Pop Artist Whitney Woerz opening up for Jesse McCartney. In the Summer of 2018 Kayleigh was asked to film for ESPN College Gameday's intro with Country Legends Big & Rich. You can see this intro aired every Saturday morning on ESPN and ESPNU at the start of the College Game Day show. Kayleigh traveled to China with the Hollywood Film Music Orchestra tour to Nanjing, China for the Nanjing Forrest Festival in October 2017. She performed 2 hours of film music with a 45-piece orchestra under the direction of Erik Ochsner, in front of screens displaying scenes from the films in the background. Her roll as a percussionist with this group had her moving between drum kit and the classical percussion section from piece to piece. Kayleigh performed with Keith Urban on the CMT Artists of the Year 2015 Live TV Awards show. Watch the performance here. She has also performed at the Grand Ole Opry three times with country artist Ashley Clark. 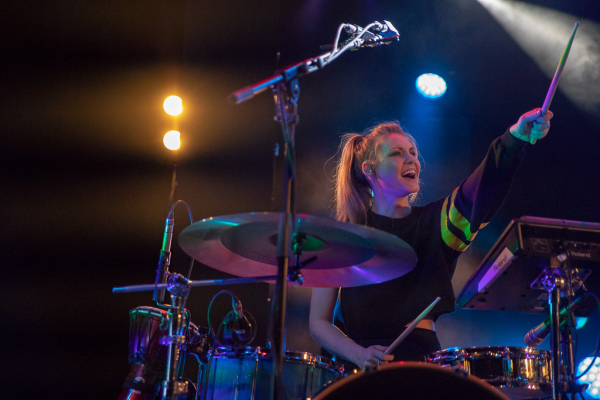 Kayleigh completed a two year world tour with Barrage 8 putting on an exciting production with 8 string players and a wide range of genres covered each performance. While in Barrage 8, she was Courtesy Faculty and Artist in Residence at Florida Gulf Coast University in the Spring 2017, which included her giving masterclasses, clinics, performances, and private lessons. 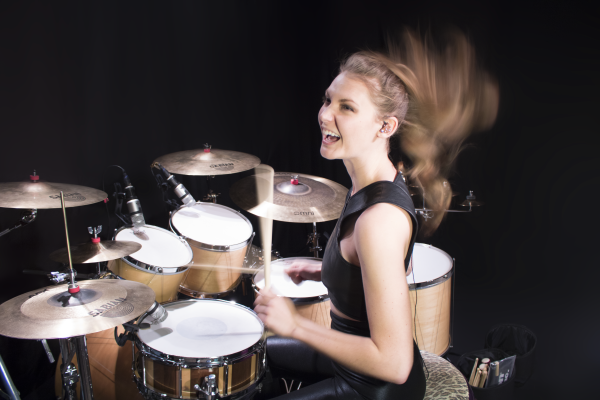 Kayleigh made the move to Nashville in 2011 to study commercial music at Belmont University, and she graduated with a Bachelors in Commercial Music Percussion with an emphasis in Performance in the spring of 2015. She was nominated for and was awarded the Freshman of the Year Award, Sophomore of the Year, and Junior of the Year/ Presser Scholar for the School of Music by the faculty. She was also awarded the Percussive Arts Society scholarship dedicated to iconic Nashville drummer Larrie Londin.